More of a permanent diversion this one but 2's are no longer serving Marylebone Station towards Norwood Garage - first stop is now on Marylebone Road so hopefully no one gets caught out like I did. The bus stop outside the station still contains the 2's tile on it and no information warning of the 2 being removed from it. It was only me walking around to the stand and asking two helpful Arriva drivers about the situation that they kindly let me know - apparently that bus stop is being removed altogether. Tied in with the "speeding up" of the 205 as well. More bleepin' passenger inconvenience. Each time I've arrived on a train at Marylebone I've caught a 205 there to Warren St - far more convenient than going on the tube via Oxford Circus. Now everyone will have to walk and wait beside the stinking, smelly and congested Marylebone Rd - lovely. Clearly whoever is in charge of buses at TfL never ever uses them. Until late April the 364 seems to be on diversion between Dagenham Heathway and Dagenham East for gas works. The official diversion route Eastbound is: L Heathway, R Oxlow Lane , R Rainham Road South, AH LOR. Routes 113 240 and N113 are diverted nightly between 2200-0500 Monday 18 until Thursday 21 March due to resurfacing works on A1 Watford Way. Routes 113 and N113 are unable to serve stops between University of London Observatory and Fiveways Corner/Copthall Sports Centre. Route 240 is unable to serve stops between Mill Hill Circus/Flower Lane and Engel Park. Buses are diverted via The Broadway, Flower Lane, Bunns Lane and Page Street, with route 240 continuing via Pursley Road and Engel Park to Bittacy Hill. When the old bridge was removed a few months ago, the rail replacement from Hampton Wick to Kingston station went via Richmond Bridge (about 10 miles to cover stations half mile apart). 5,115,147,330 all on a extremely lengthy diversion because Barking Road is closed at New City Road. Buses are travelling via Plashet Grove and Green Street. Would have made sense to divert the 147 via Newham Hospital as per the route 304 will take. I know it would miss more stops but so far it's taken 20 mins to reach Green Street from Plaistow Green Gate. Could have kicked my self as I turned back into Barking Road when I realised I could have got off the bus at Green Gate and walked to Green Street and caught another bus! 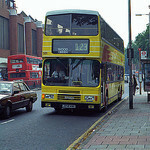 The 197 was on diversion via Elmers End yesterday, missing out South Norwood and Morland Road. That is the diversion route Green Gate, Plaistow High Street then via 325 route to Portway then towards Green Street back to Barking Road. Routes 13, 31, 113, 187, 268 and C11 are currently being diverted or curtailed due to a road traffic collision on Finchley Road. 16:30 - The diversion uses Hilgrove Road, Belsize Road, Abbey Road, West End Lane and Fortune Green Road. Routes 187 and 268 are curtailed to Swiss Cottage. 19:00 - Routes 31, 187, 268 and C11 have resumed normal service with some residual delays. Routes 13 and 113 are now diverted via Broadhurst Gardens, Canfield Gardens, Cleve Road, West End Lane and Fortune Green Road. 47, 188 (and eventually N1) are currently diverted via Pepys Estate due to gas works on Lower Road. Route 292 towards Borehamwood, Rossington Avenue is on diversion via Edgware Way, Elstree Hill South, High Street, Elstree Hill North and Allum Lane due to a road traffic collision on Barnet Way (A1). 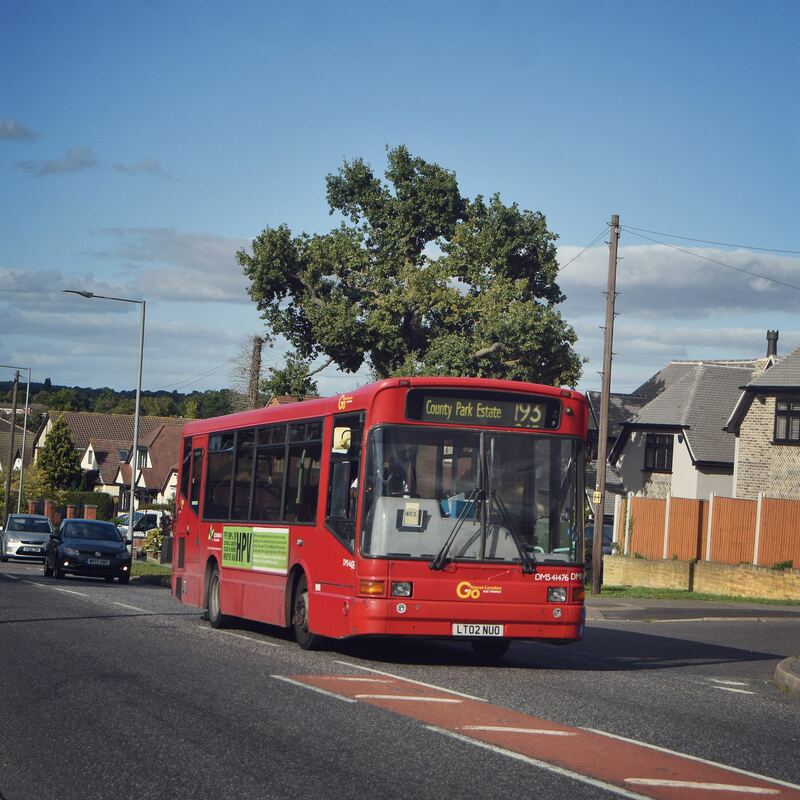 Buses are missing stops between Glendor Gardens and Elstree & Borehamwood Station.